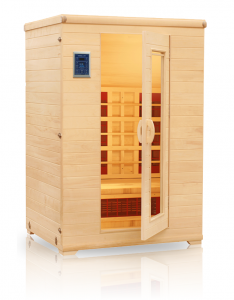 Why offer the far infrared sauna? Well, the proof is in the pudding. After hearing about their many health benefits, I decided to see for myself. After regular use, I have experienced improvements such as an elevated mood, improved cognitive function, less back pain, and more energy. Come try it out and see what you think! Far infrared rays, which are actually on the light spectrum, are felt as heat. They can heat your body directly without significantly warming the air around you. The light waves penetrate deep (I’ve read anywhere between 1.5 to 6 inches) into your body for a heating effect that allows more activation of your sweat glands compared to a dry sauna. So an infrared sauna doesn’t feel as hot as a dry sauna, but you sweat as much or more. This stimulates a natural detoxification process. Raising your core body temperature (which is especially helpful for those who have a lower body temperature and/or have chronic infections) induces a fever which can kill harmful viruses or bacteria. A traditional sauna uses heat from rocks or other heating elements to warm the air, which then warms your body. These saunas rely only on indirect heating: first, convection (air currents) and then, conduction (direct contact of hot air with the skin) to produce its heating effect. 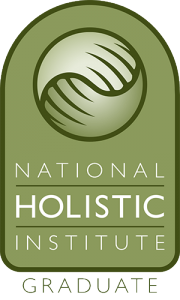 Our bodies naturally produce infrared energy, which is used by the body in healing processes. Sitting in a far infrared sauna is like soaking up the rays of the sun, but without experiencing the the harmful UV radiation. That is why many feel energized and relaxed after their sauna experience. For more information about owning your own far infrared sauna, or for questions, contact High Tech Health International. They’ve got an incredible product and exceptional customer service.